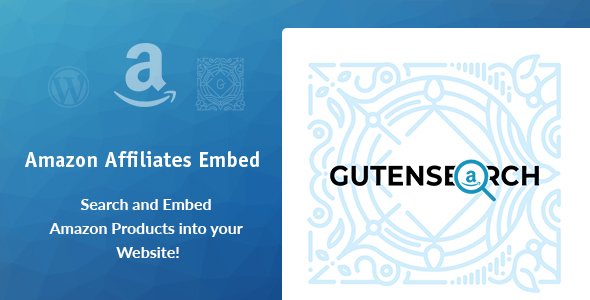 The GutenSearch Amazon Affiliates plugin extends the WordPress block editor functionality by adding useful extra block element to it. Search and display Amazon Products right into WordPress! Using this GutenSearch block you will be able to display any product from Amazon into any WordPress page / post by simply searching! Simply Search and Embed any Amazon products! No coding necessary, no amazon API keys, the addon works as is. Search for products and embed them into any page! Using this plugin, simply search and embed products in just a few clicks! 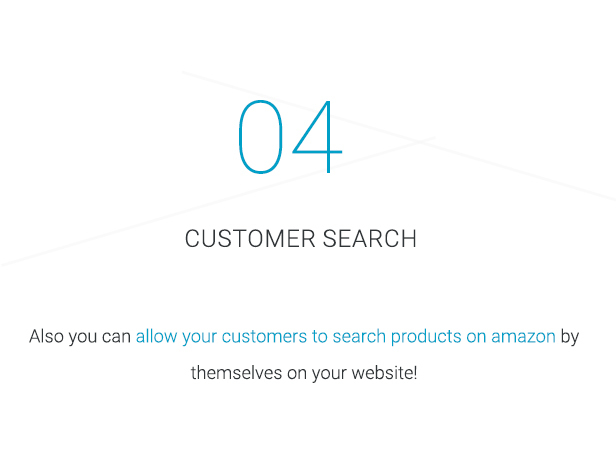 Also you can allow your customers to search products on amazon by themselves on your website! Multiple commissions! The plugin works with Amazon’s Major Affiliate Programs! As checkout features you have Direct Checkout or Add to cart! The Add to cart comes with the 90 days cookie of course! Wondering how the products will look like on your website? Don’t worry, the Template is fully customizable! In order to avoid design or color conflict we took care and added color pickers for titles, ratings and text. Each product comes with an Image, Title, Category, Price and Ratings. Depending on Amazon Affiliate Website, you might get extra fields. All these are very easy to Customize, starting with Font Families, Sizes, Colors, and also you can Setup how Many Products to Display per Column, and how many Products to Display per Page and if you wish to Display a Custom Pagination or not. The BUY Now / Add to cart Button is Customizable as well. Amazon is an established brand and many people already have an account and shop there. Amazon is a stable company so there’s no concern about not getting paid.